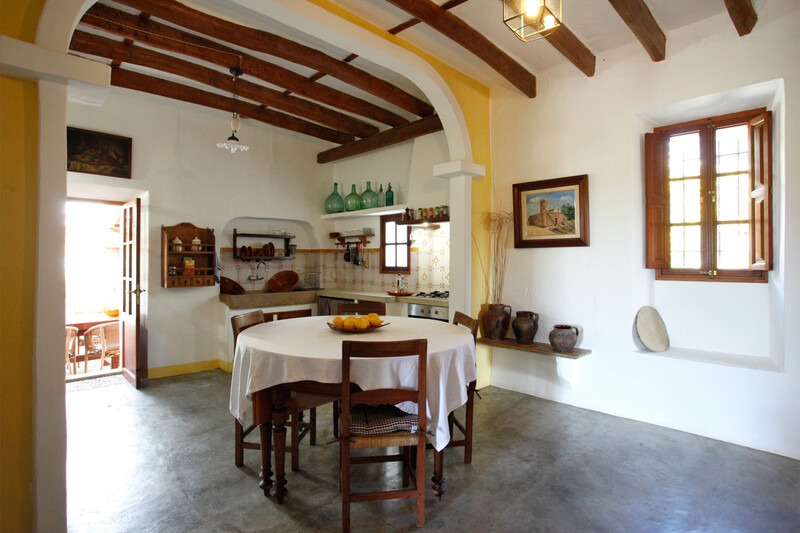 The first historical record of this possession is dated back to the 18th Century. 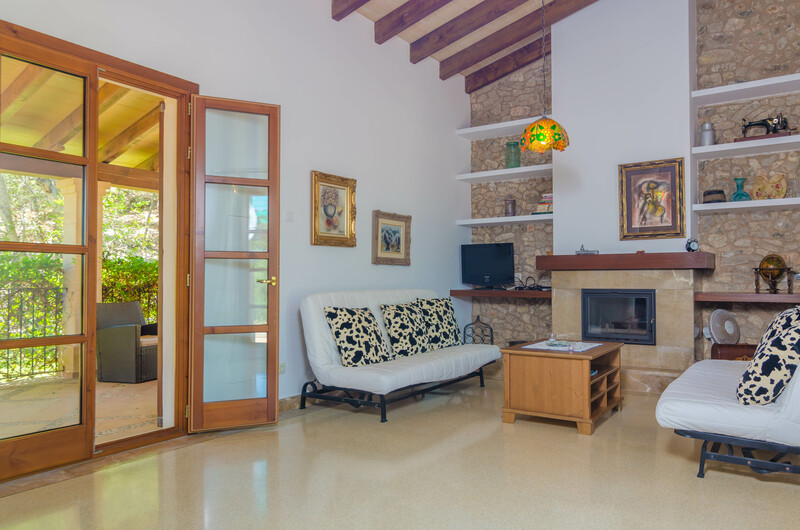 The house with stone-lined facade has been carefully renovated in 2015. 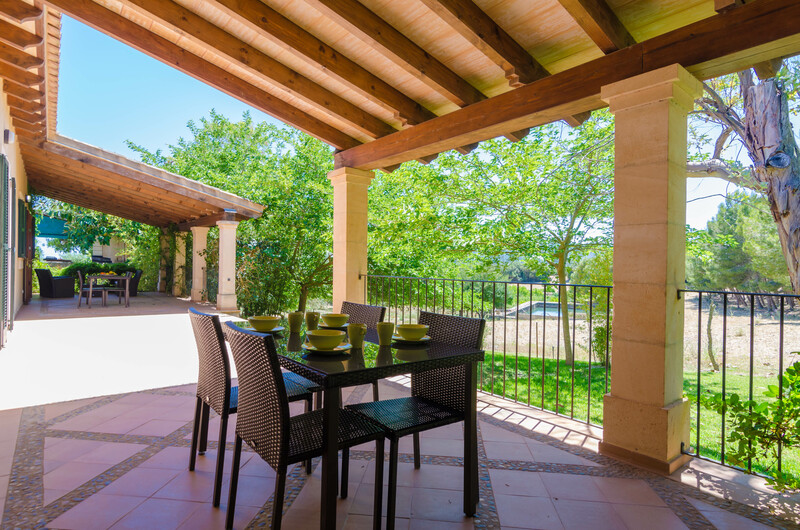 The exteriors include a chlorine pool, a spacious garden and several porches/terraces. 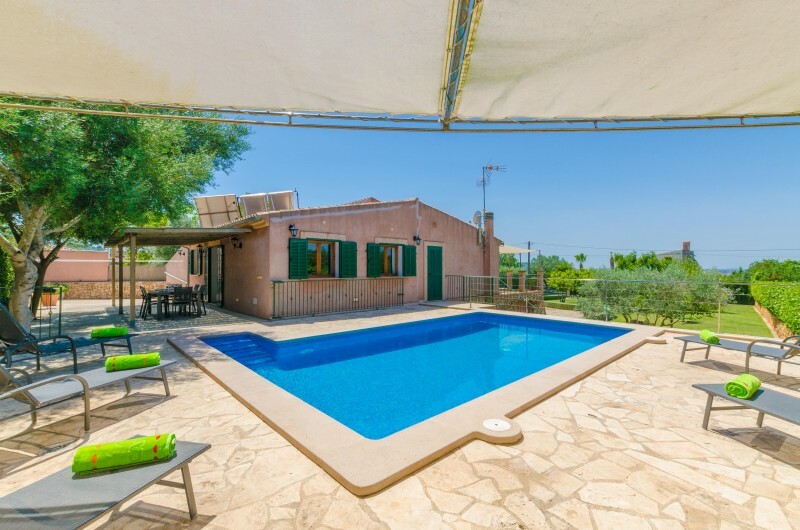 The 14m x 9m private pool with a depth ranging from 0.9m to 1.9m is surrounded by a beautiful wooden terrace with exterior shower, sun loungers and pergola covered seating area. 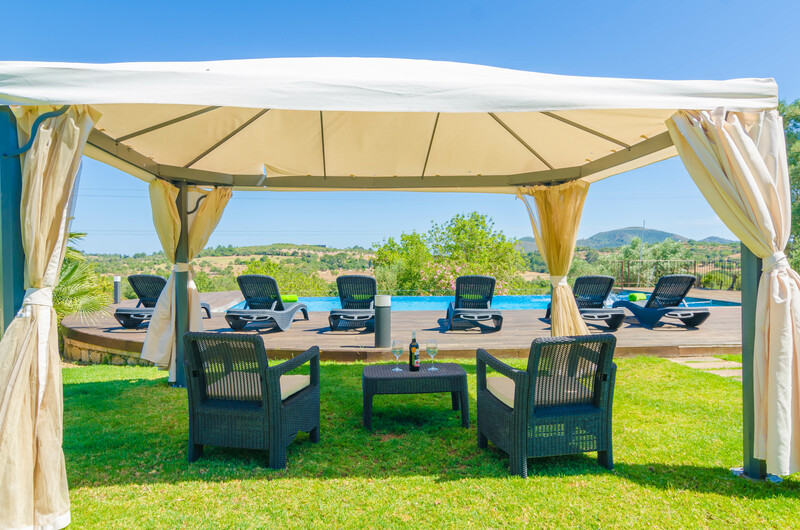 Enjoy a lazy afternoon basking in the sun while contemplating the countryside characterized by rolling hills. 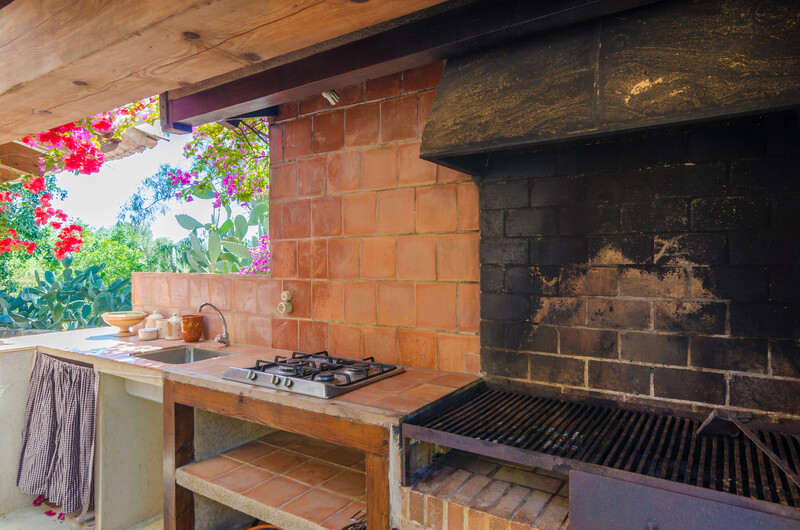 The garden and terraces are ideal for a barbecue. 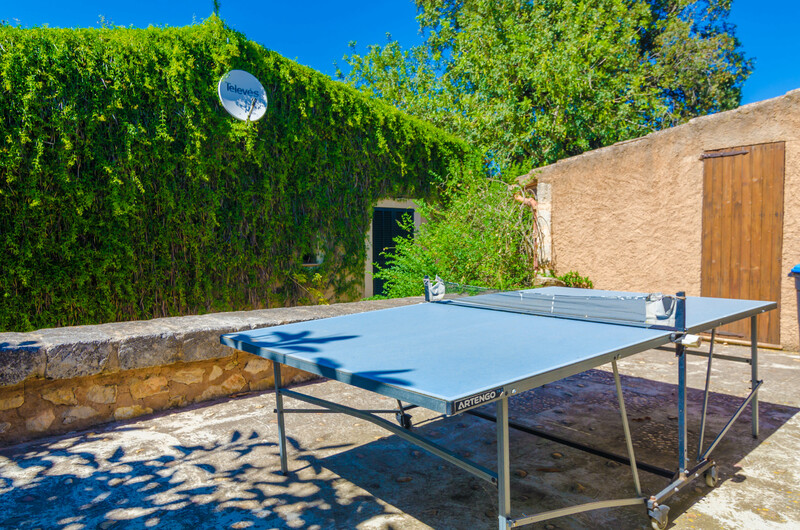 If you like sports, challenge friends and family at the ping-pong table. 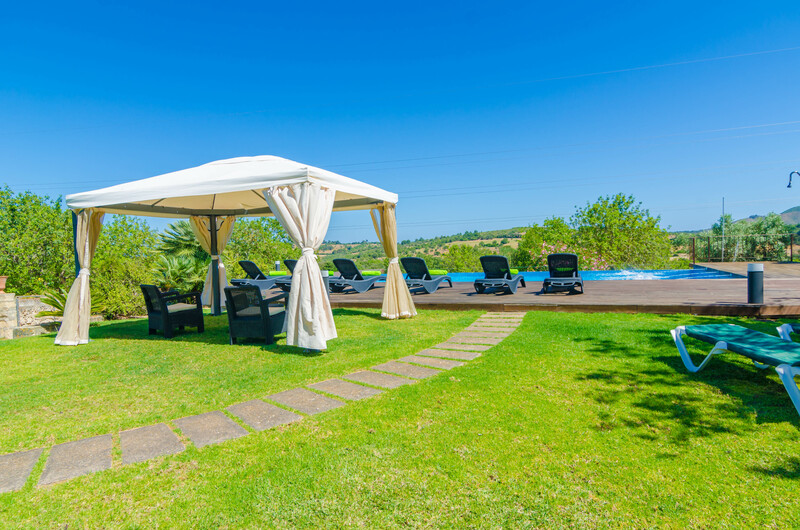 The plot is fenced and there are no direct neighbors. 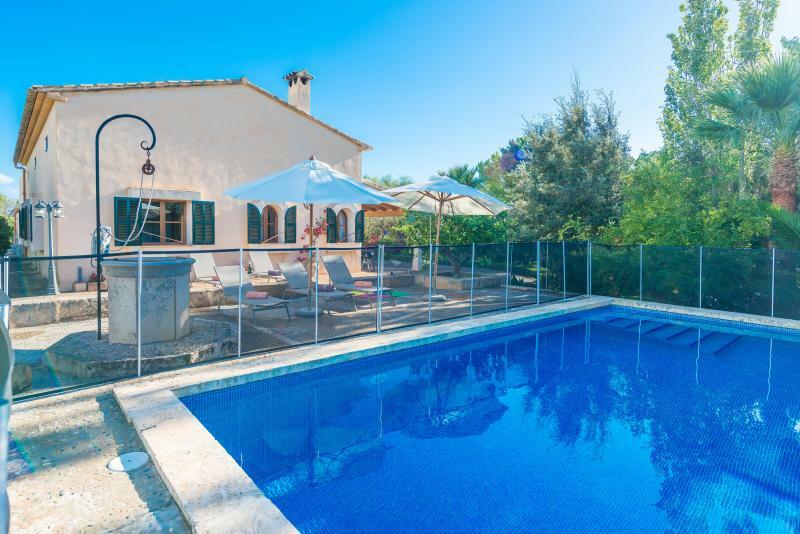 The possession is divided into three buildings; the main building in front of the pool with four bedrooms and two annexed buildings. 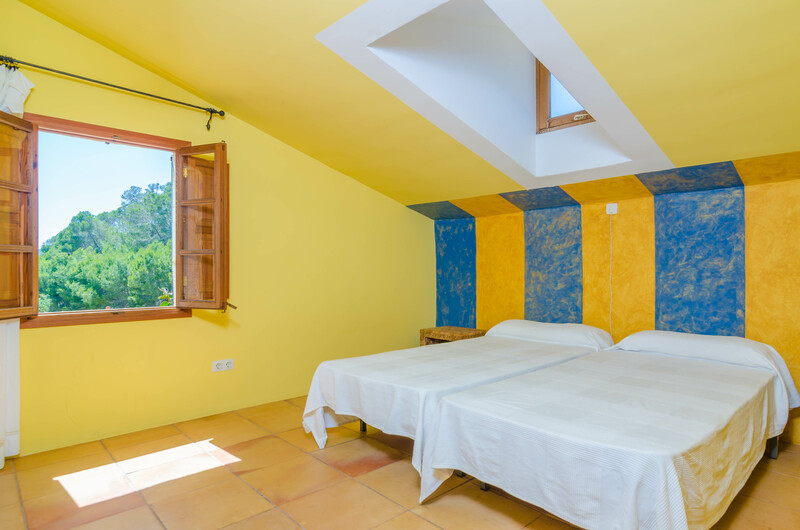 Due to this, it is just perfect for friends and families who want to spend holidays together without renouncing privacy. 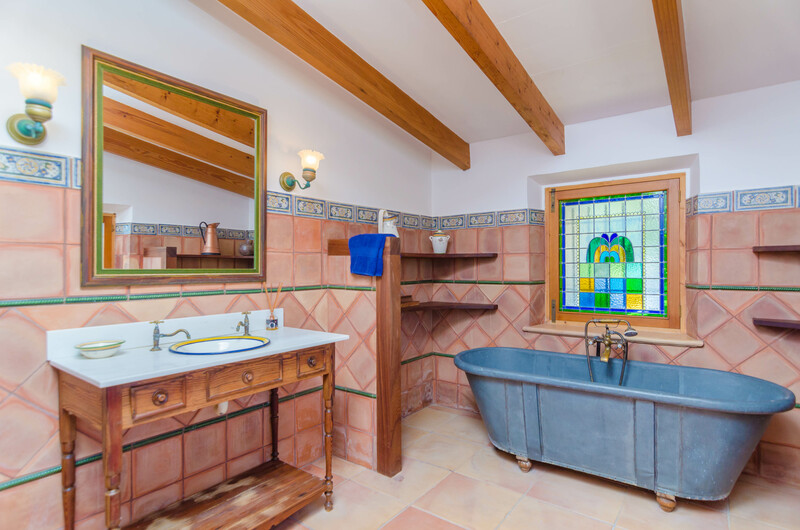 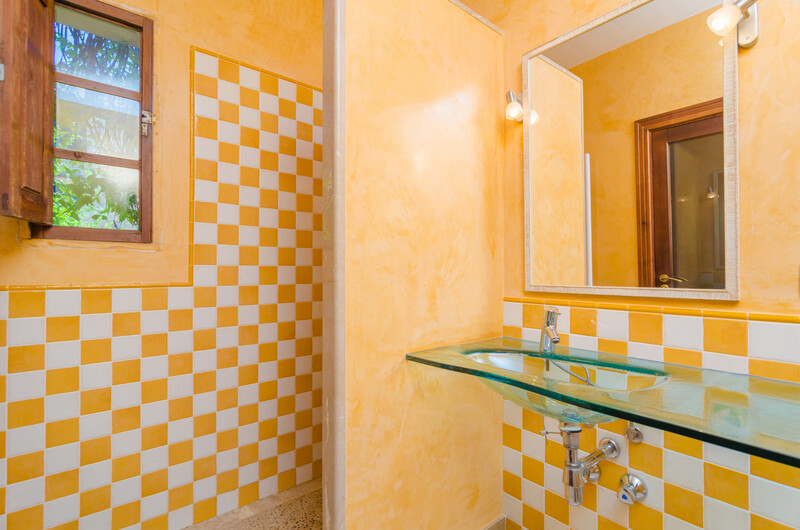 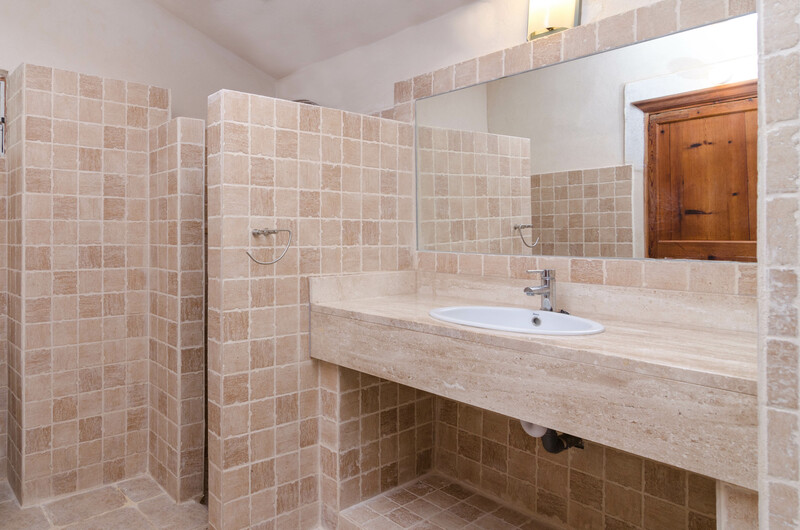 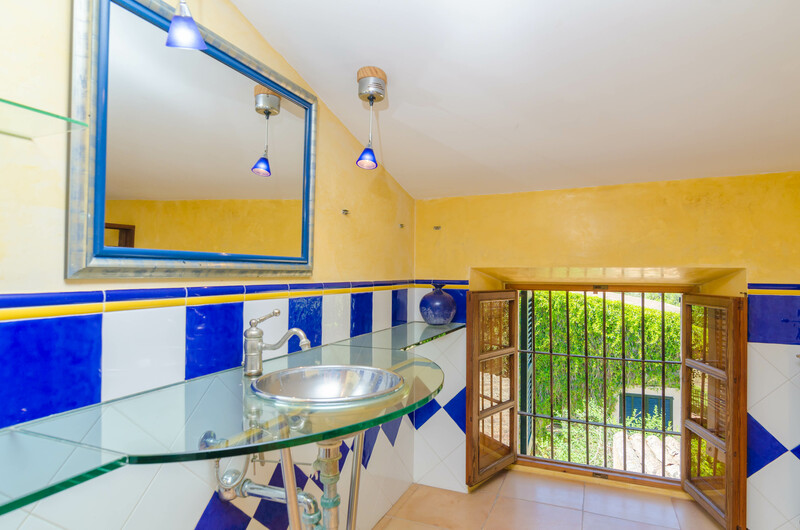 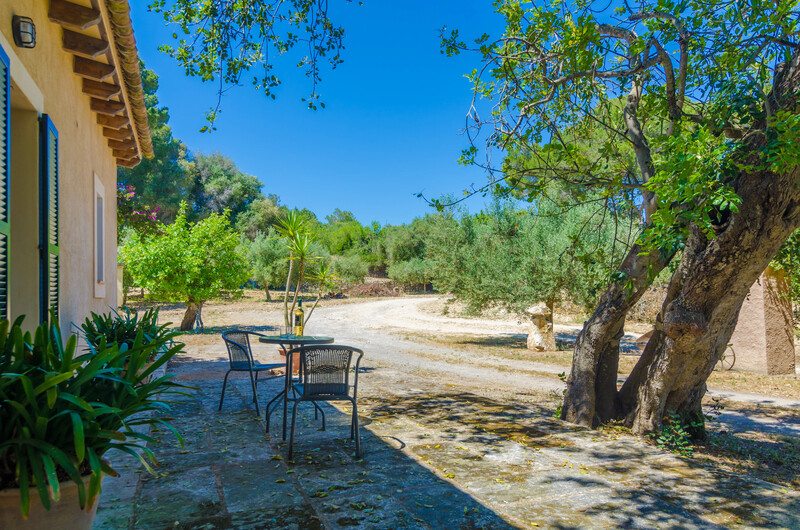 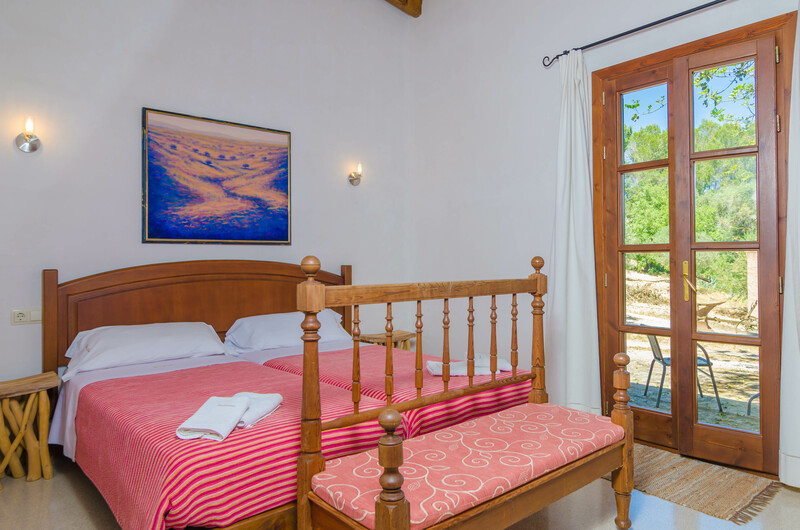 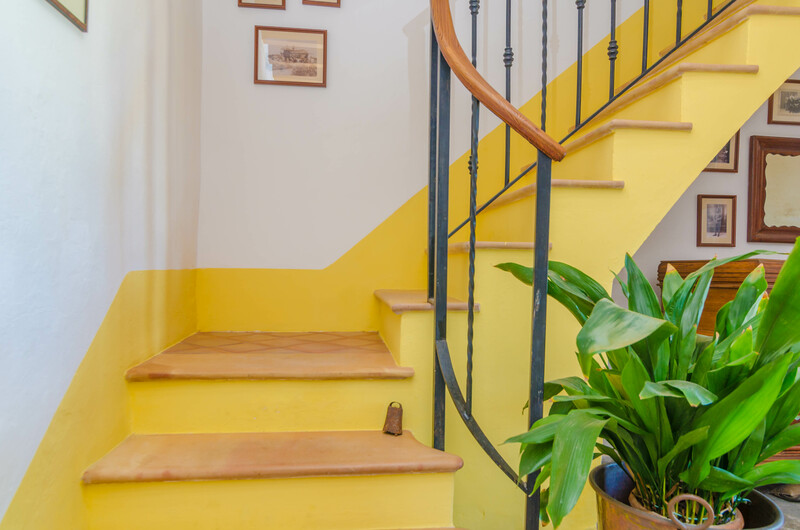 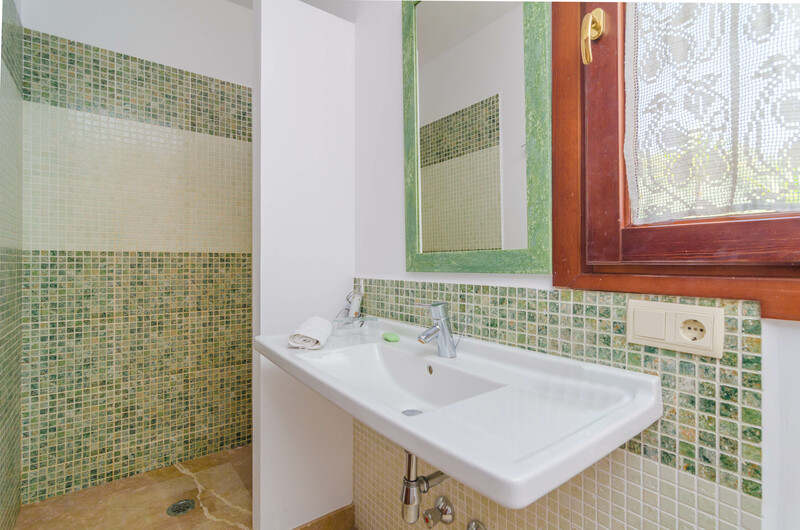 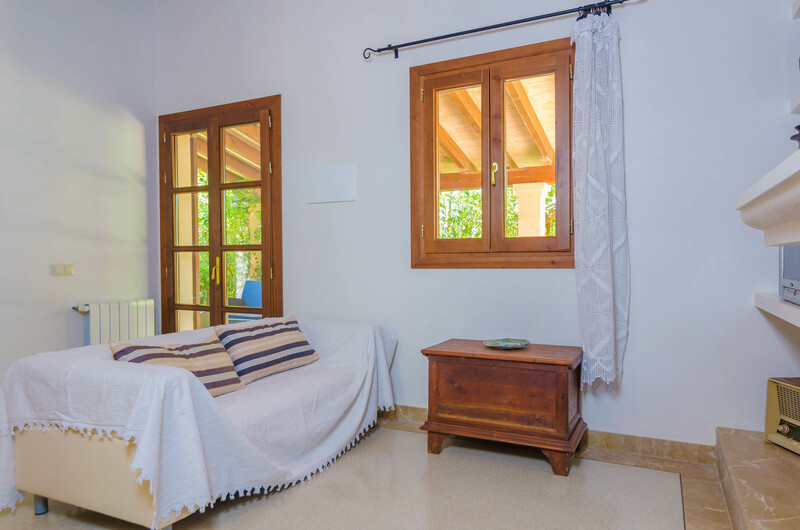 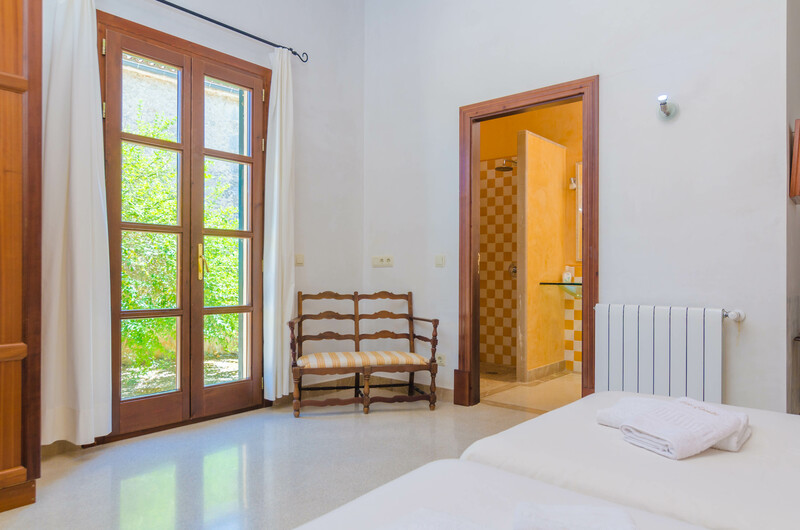 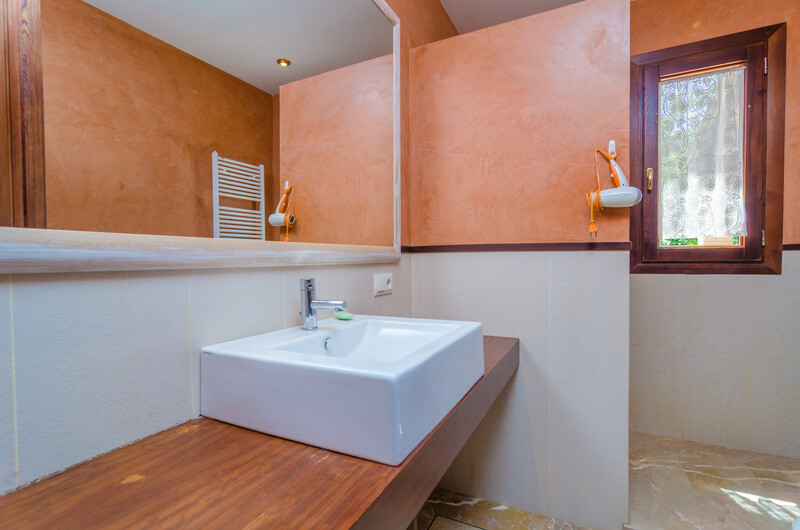 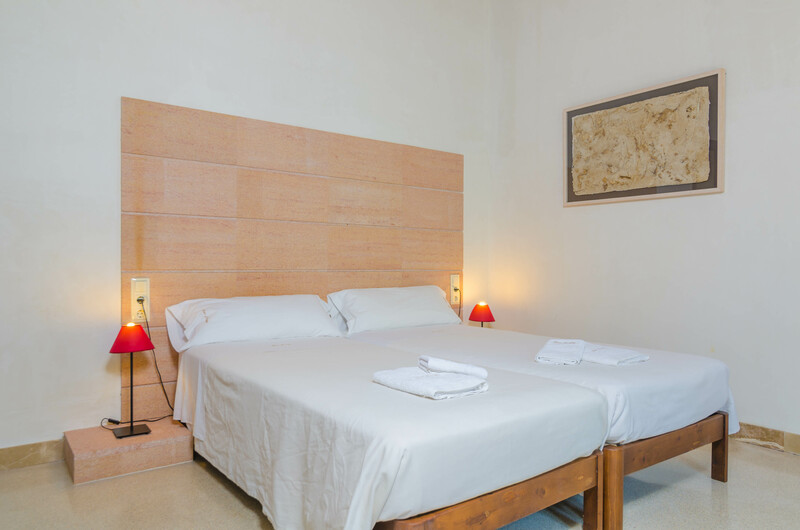 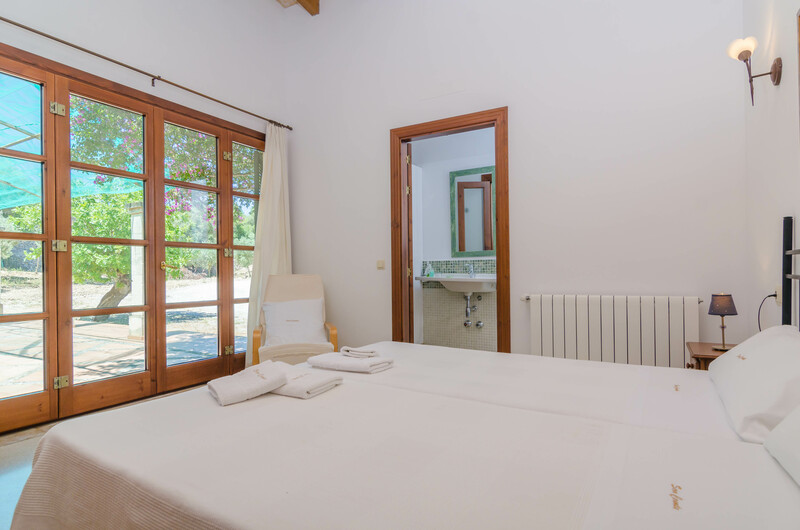 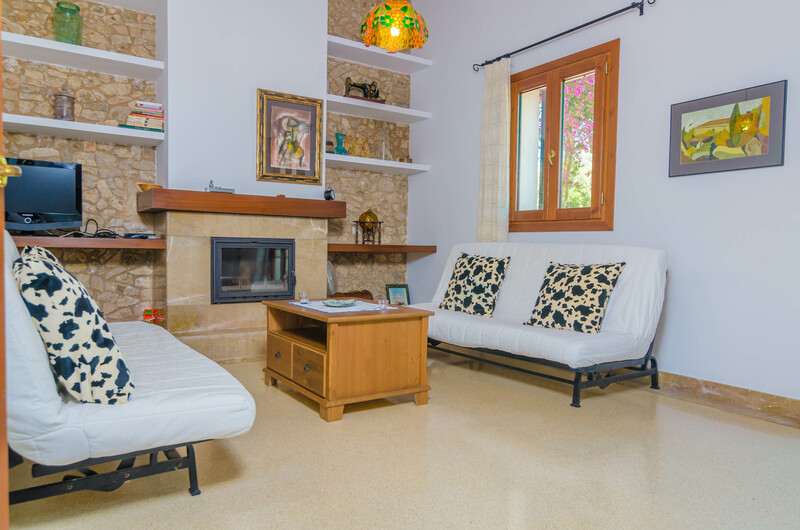 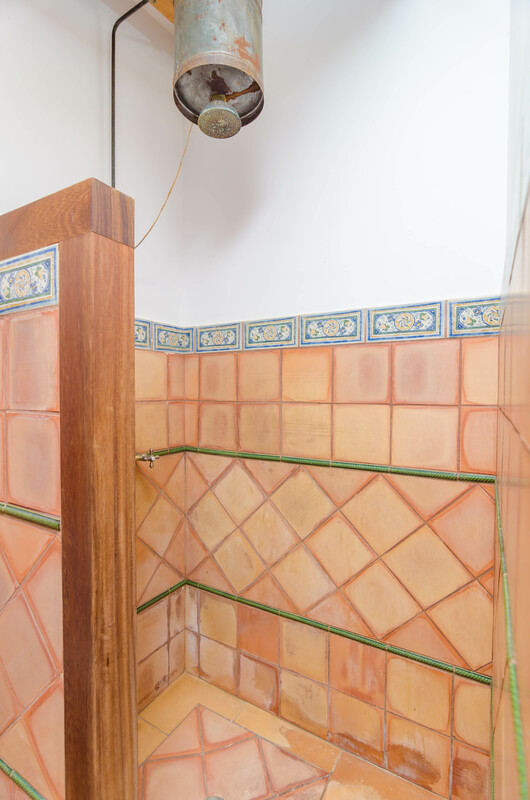 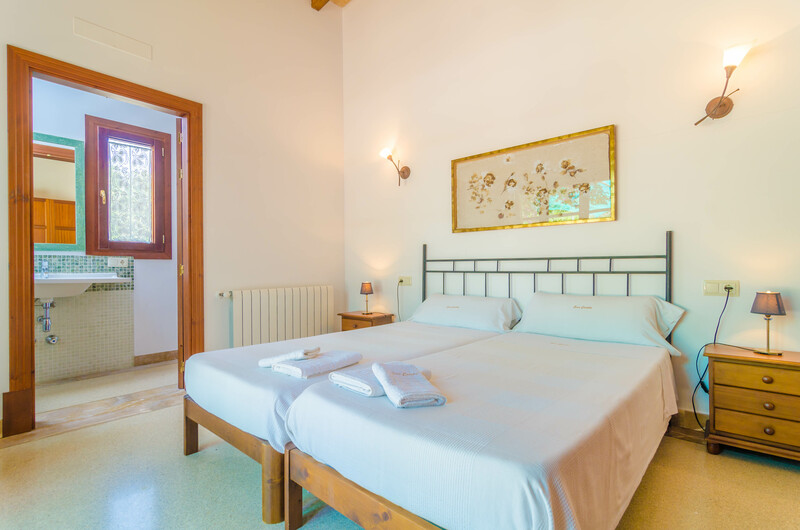 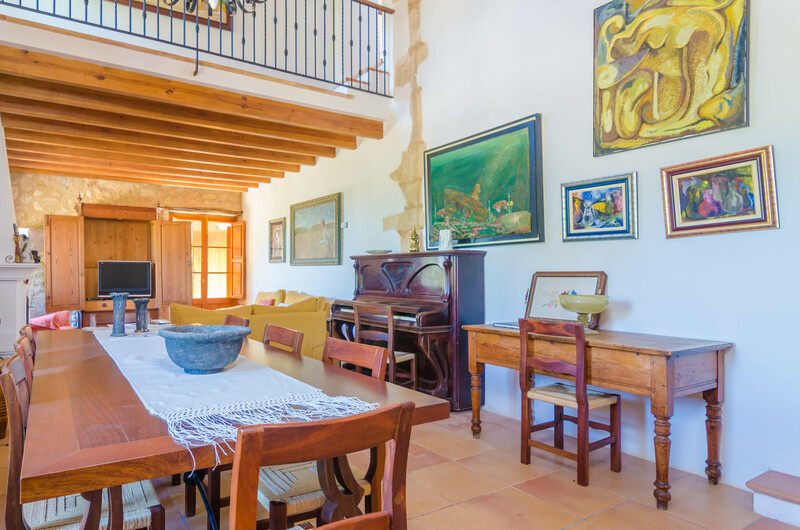 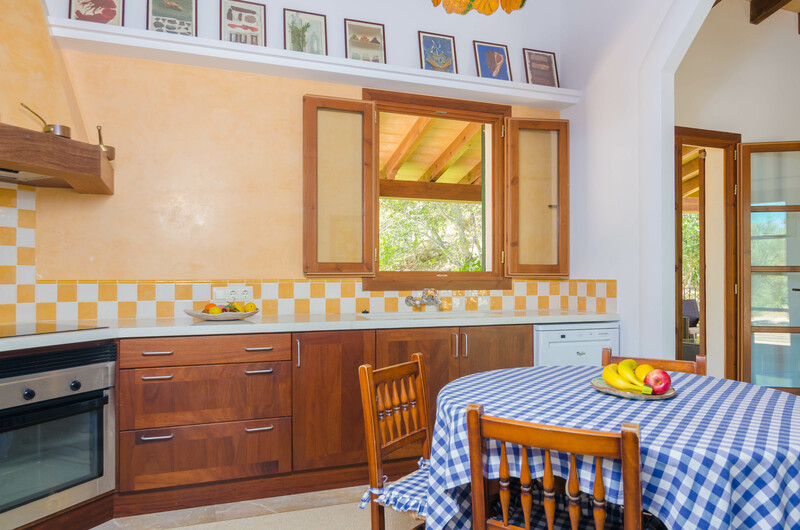 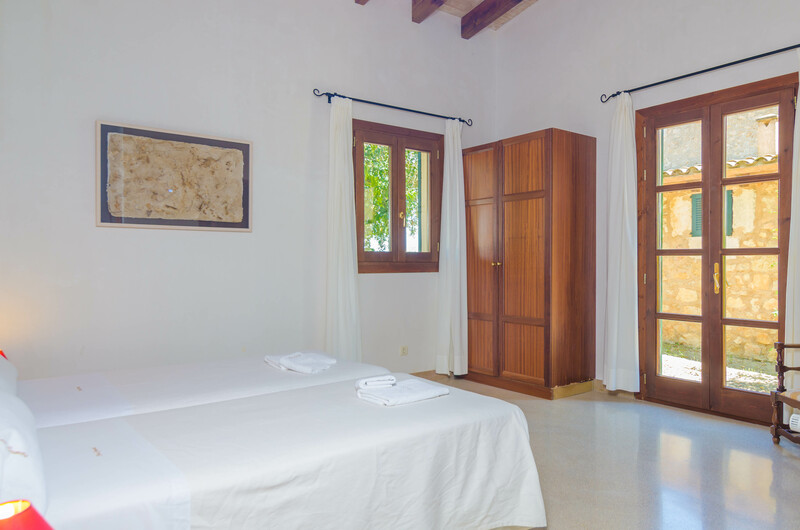 The main building consists in a cozy sitting-dining room with TV-SAT (only Spanish and German channels available), a bath with shower and bathtub and a traditional Majorcan kitchen with gas stove. 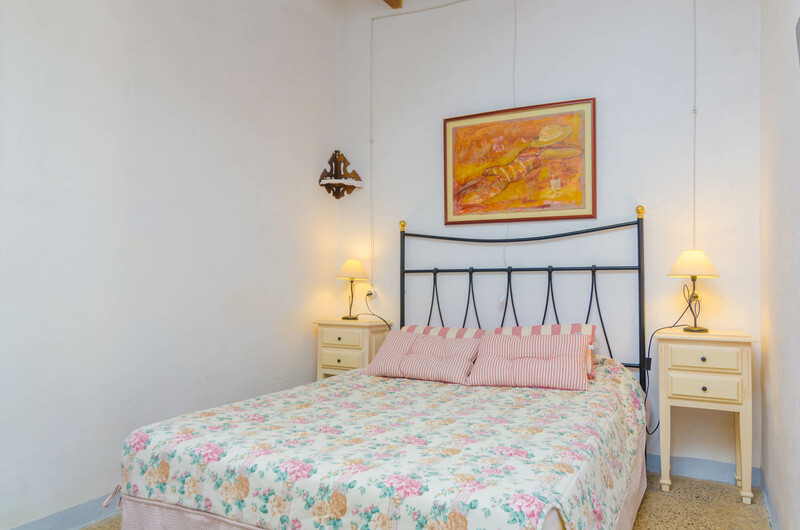 The bedrooms of this building are distributed over two floors with a single bedroom on the ground floor. 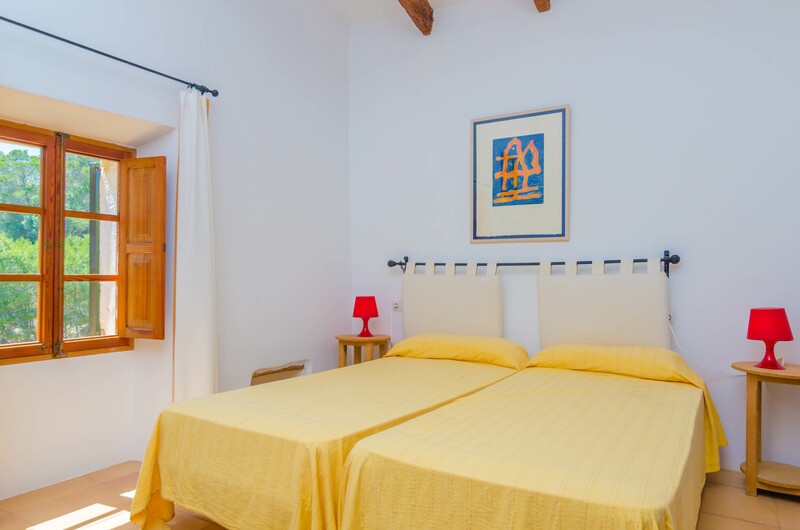 There's one double bedroom and two twin bedrooms on the first floor. 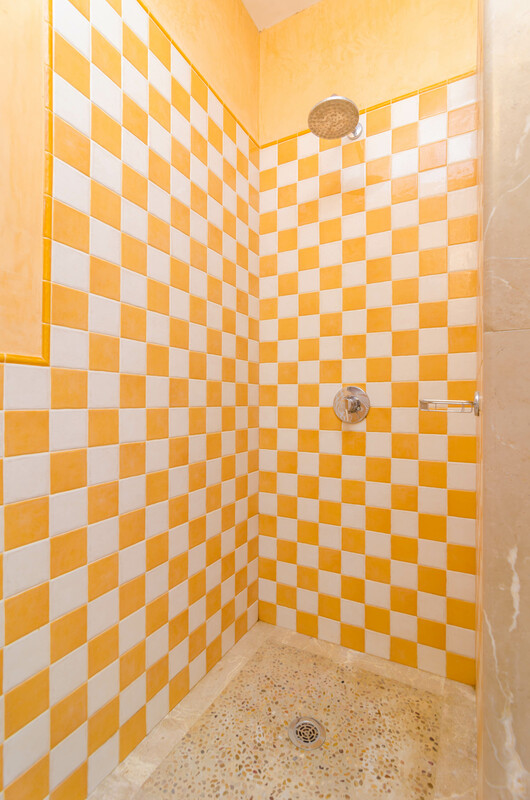 Besides, there's a shower bathroom upstairs. 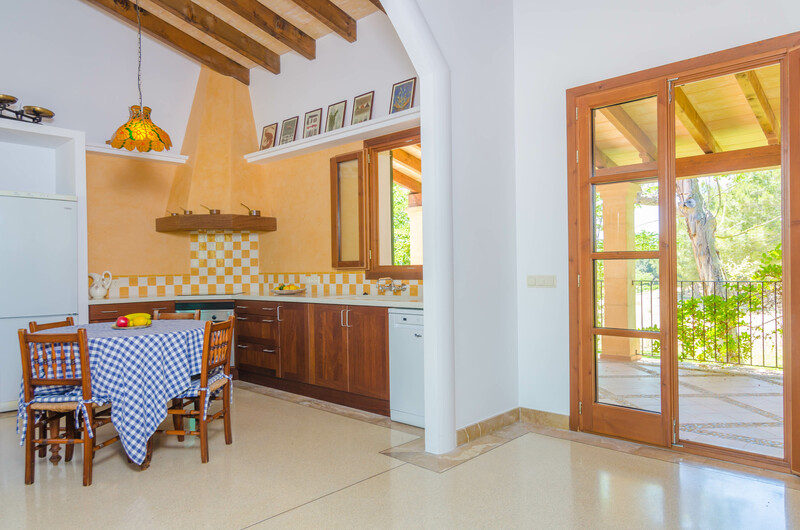 The second, one storey building features sitting-dining room with open kitchen, including a vitro hob. 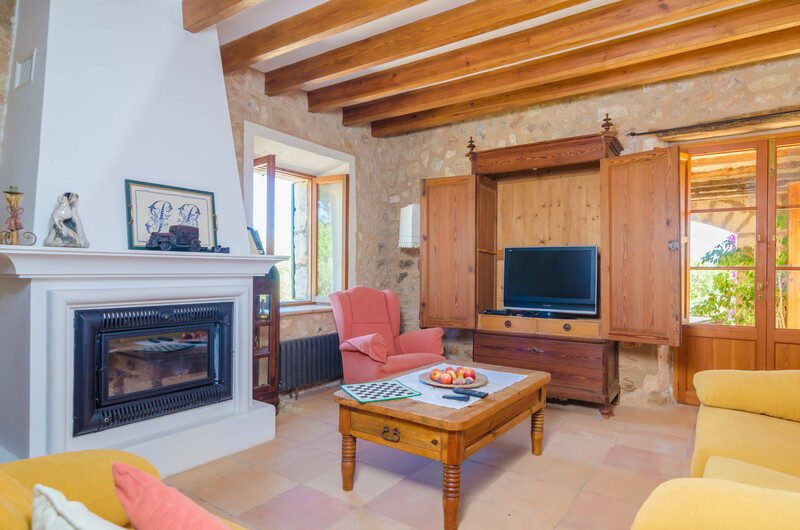 There's a TV with satellite channels (only German and Spanish). 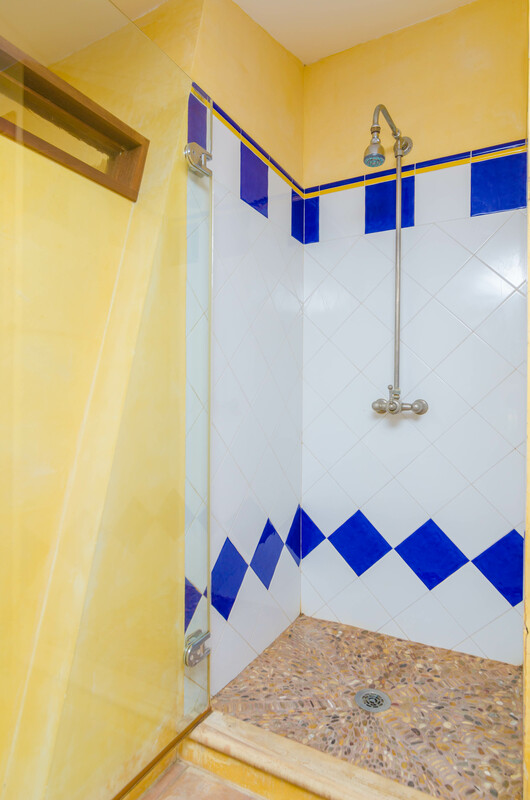 Two twin bedrooms with wardrobe (one with shower bath en-suite) and an independent shower bath are available. 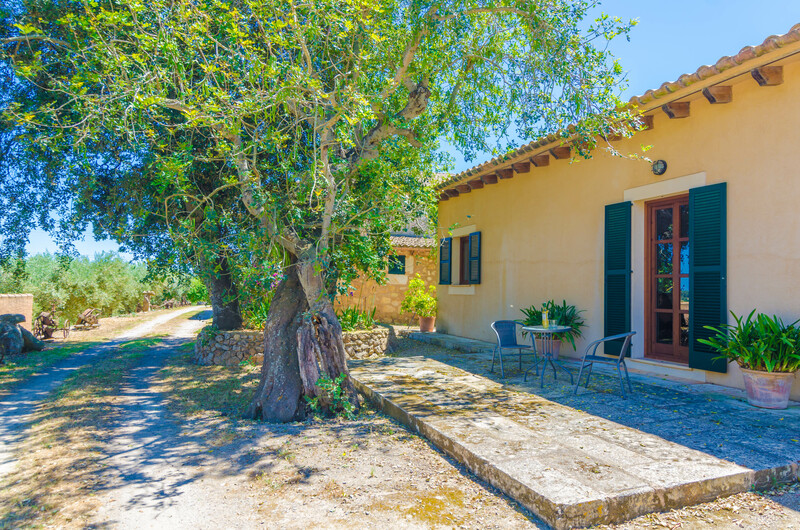 The third building offers accommodation on one floor. 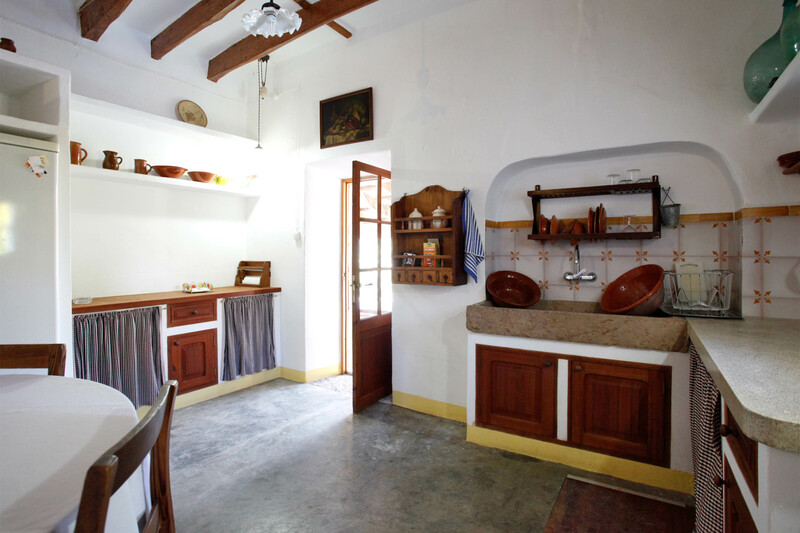 There's a rustic living room and three twin bedrooms with a closet each. 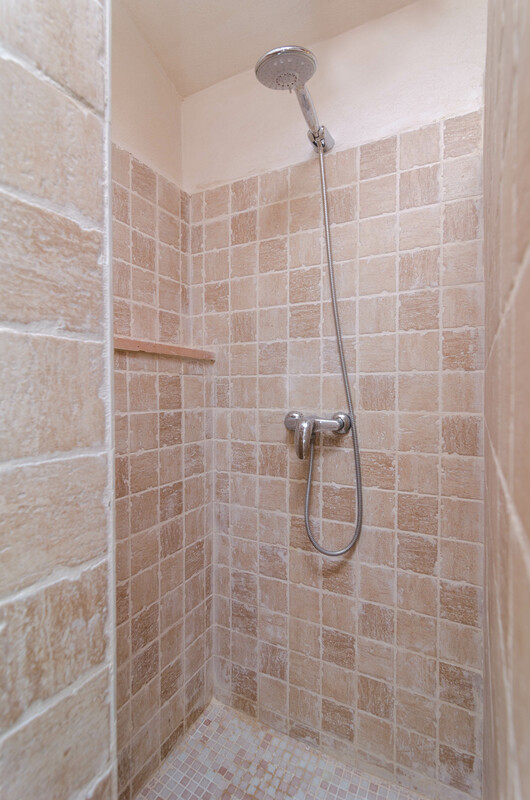 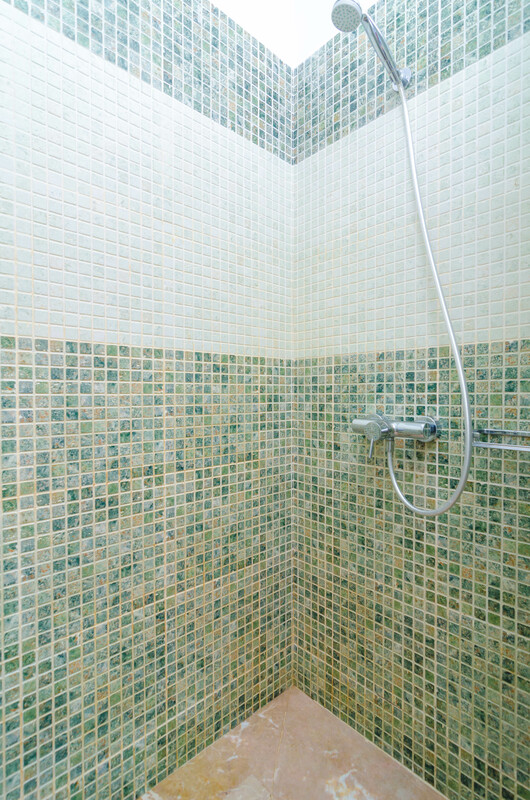 One bedroom counts with a shower bathroom en-suite and two have access to the garden. 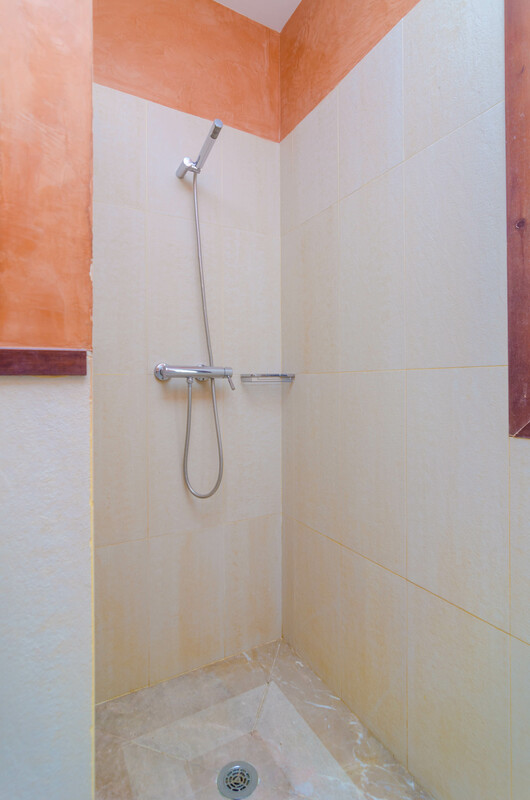 Besides, there's a shower bath. 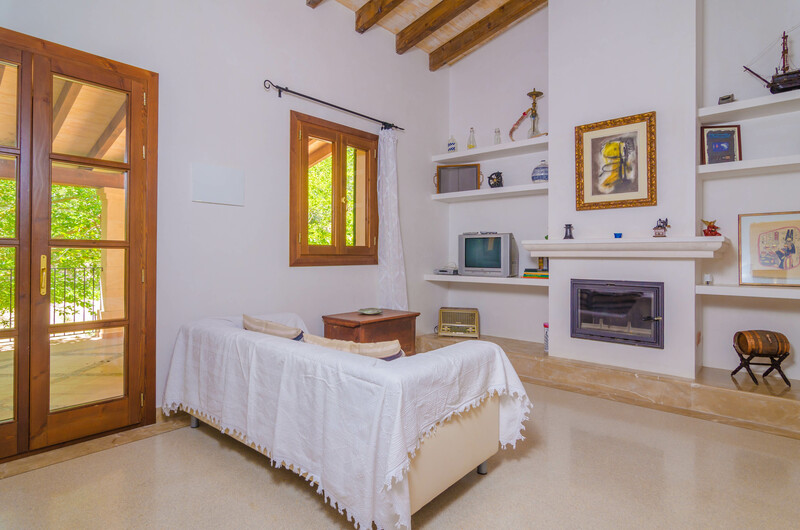 There's a laundry with washer, iron and ironing board for the whole house. 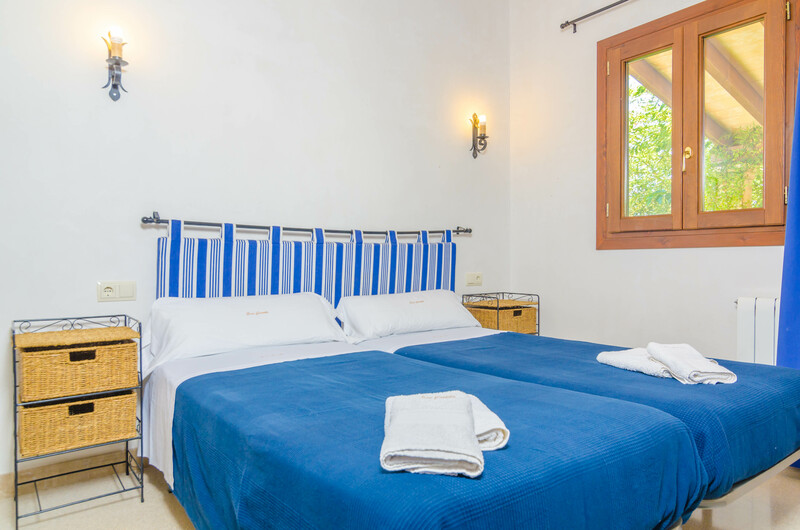 Two cots and two high chairs can be prepared upon request. 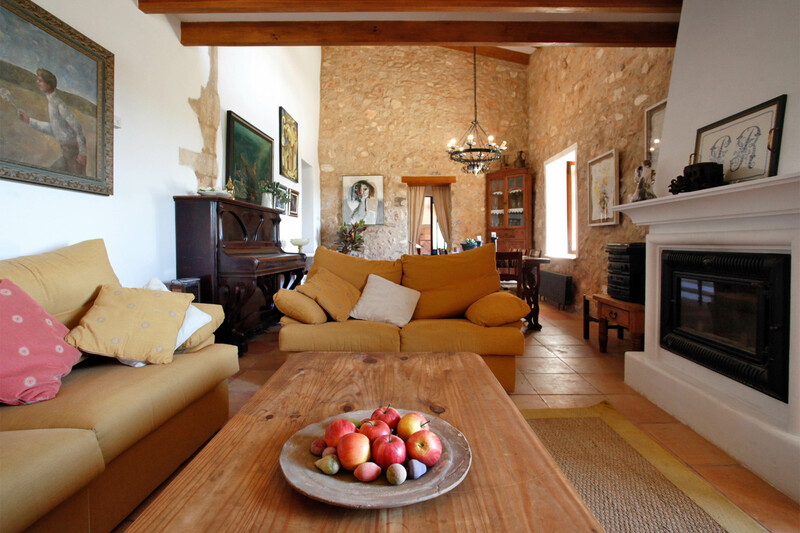 Central heating is available if you visit us during the winter. 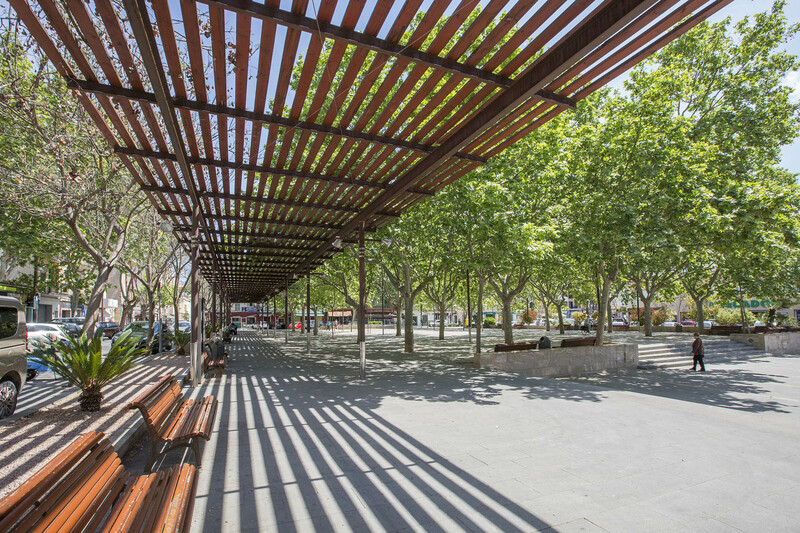 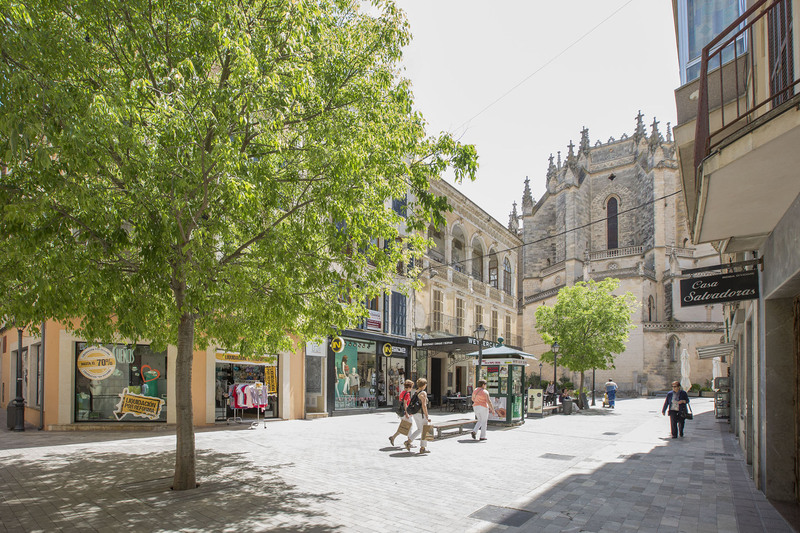 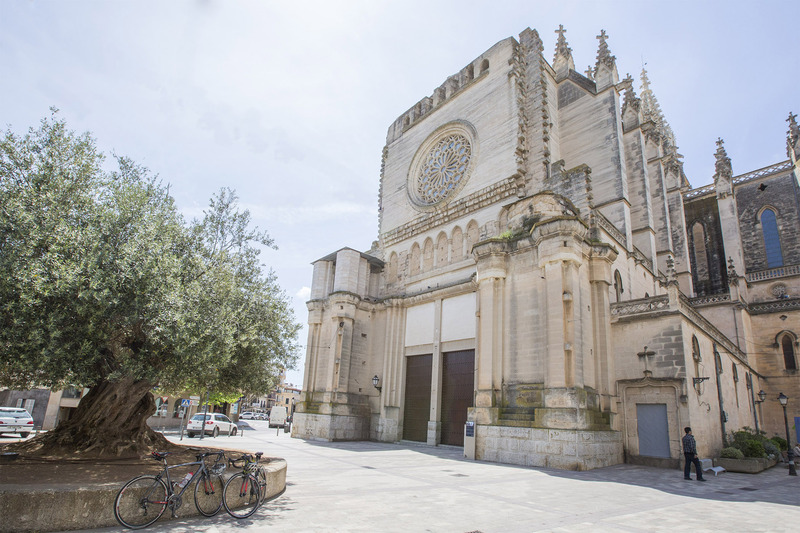 At Manacor center, you can try delicious traditional majorcan food at one of its fantastic restaurants, or go shopping. 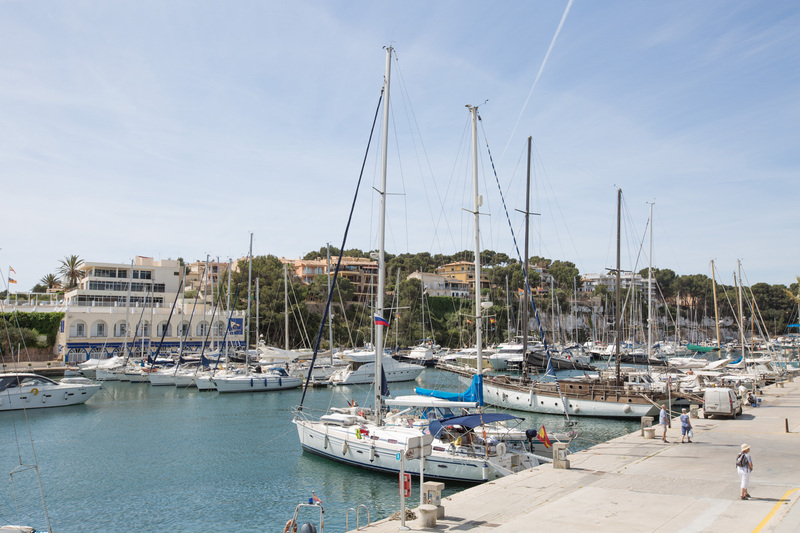 For golf lovers, you can play at Pula Golf, 22 km distance. 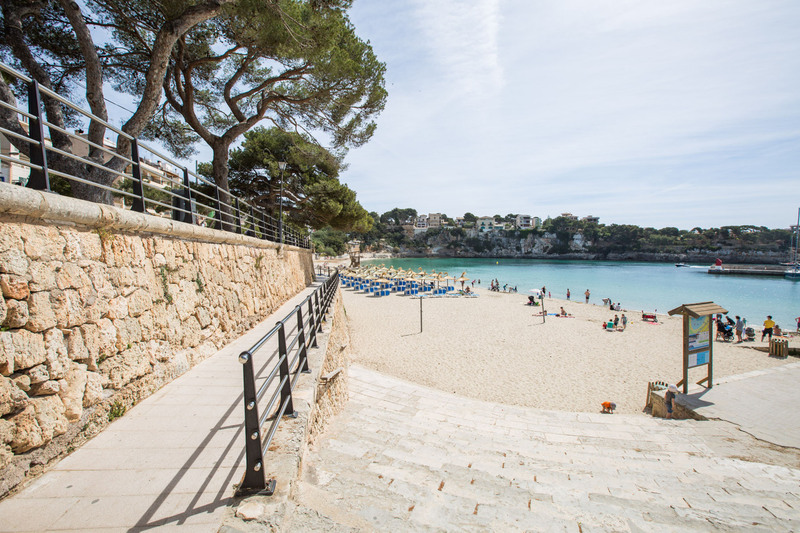 The coast and lots of dreamlike beaches is just a 15-20 minutes drive. 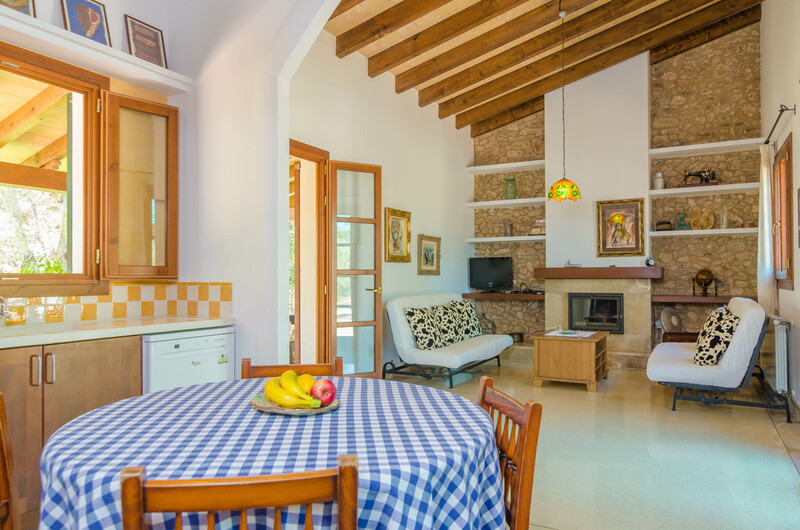 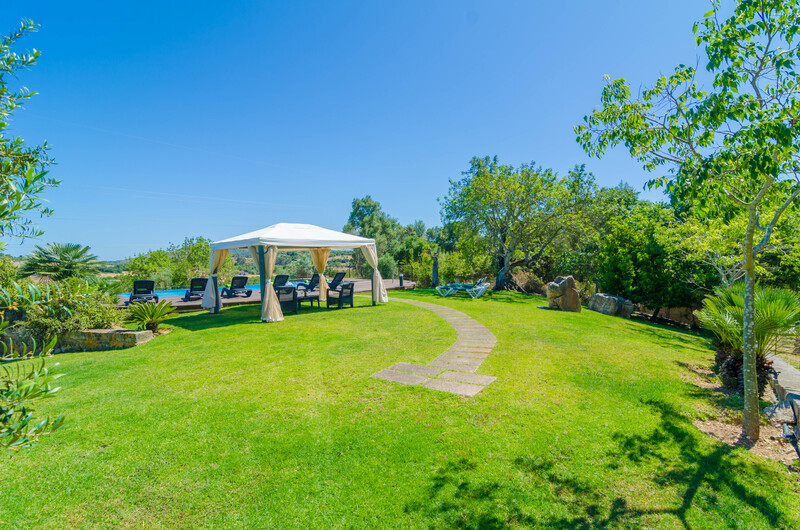 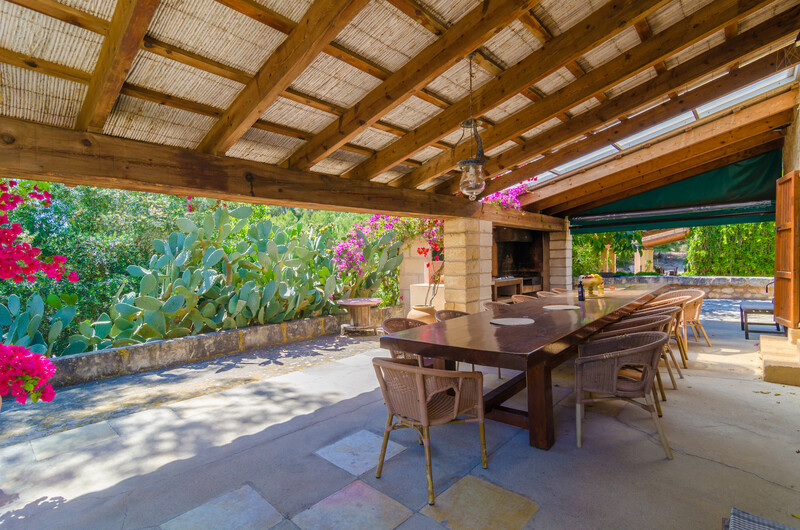 The property is well connected, so you can easily visit different beaches like Portocristo, Cala Magrana, Calas de Mallorca or Sa Coma. 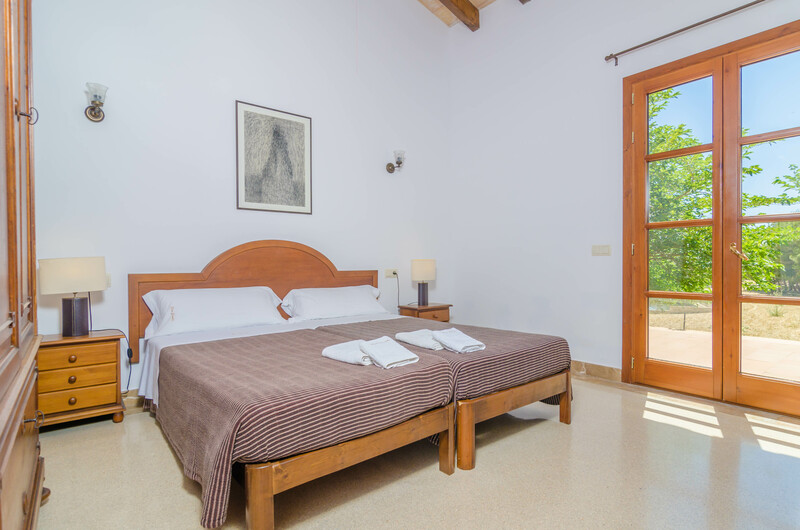 We highly recommend Cuevas del Drach caves. 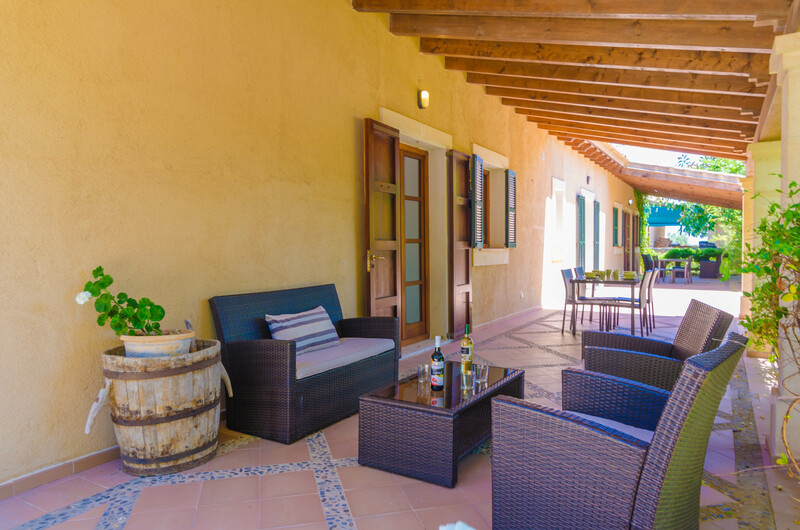 We stayed at the Villa Trescomte (aka Finca Son Comte) for a week in July. 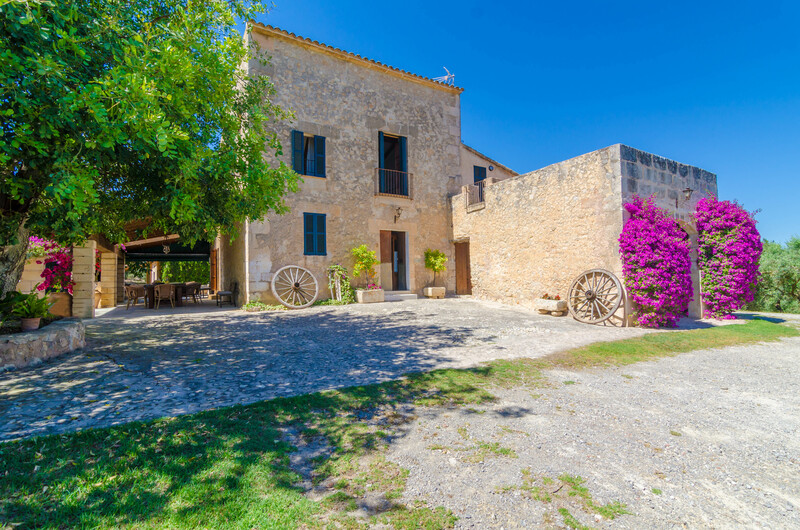 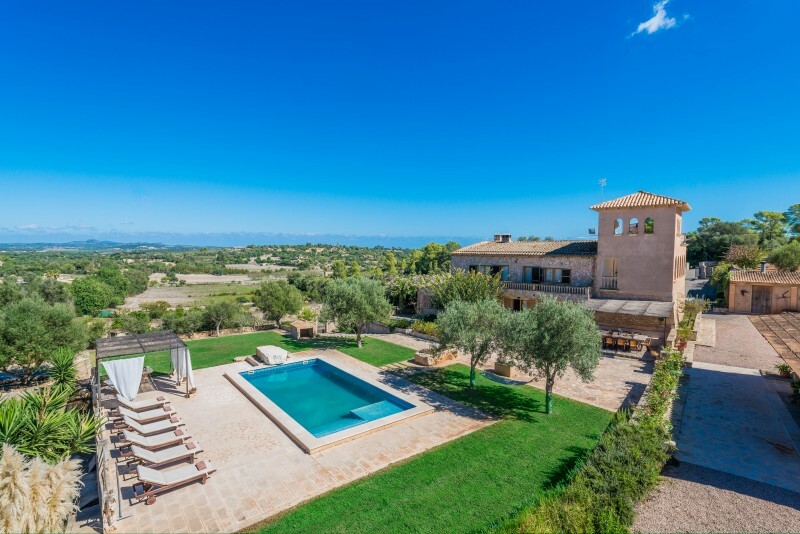 It’s a large secluded Finca but it’s close enough to Manacor and the coast. 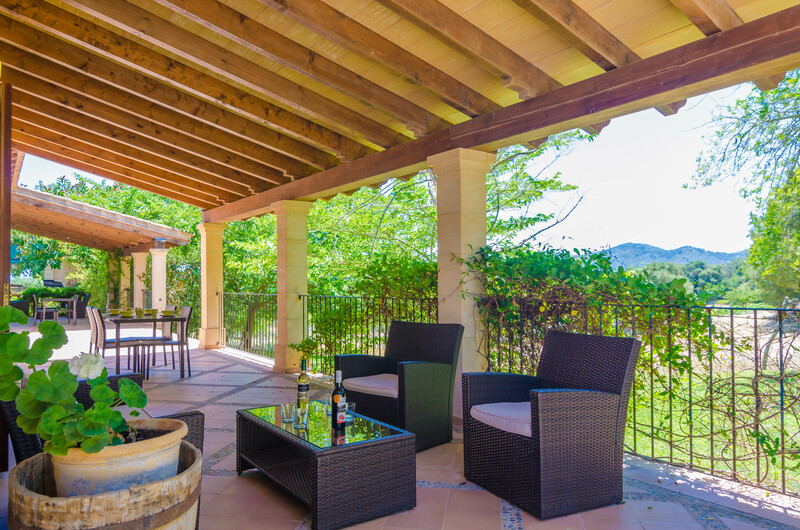 Great for groups with family and friends. 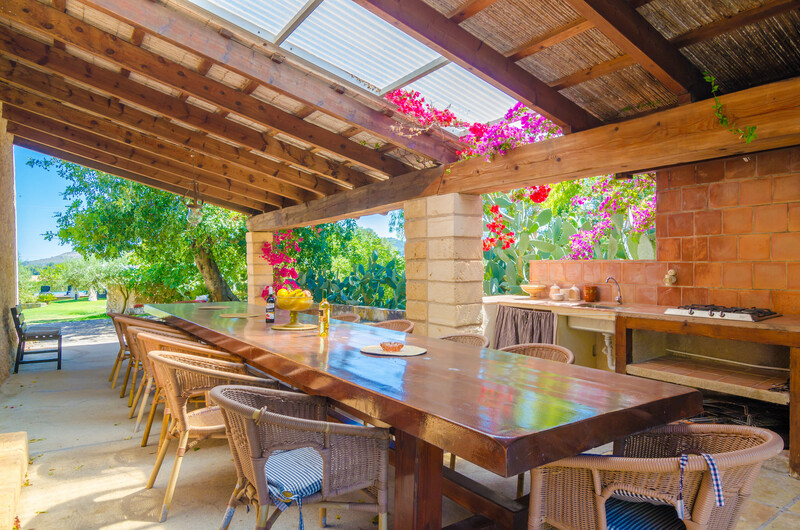 Nice pool area, big outdoor table with barbecue in the shade, charming authentic building tastefully decorated.